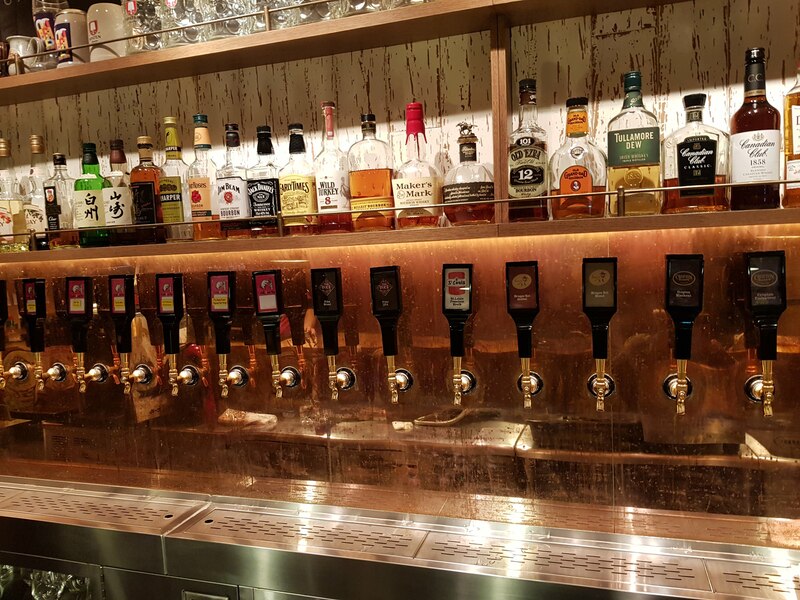 Despite its size and bustle, Shinjuku still comes up a little short in the craft beer bar stakes. Craft Beer Tap is one exception, although perhaps due to its rarity, the prices may be a shock to the system. True to its name, Craft Beer Tap has 20 beers on tap, but they’re not all “craft”. The beers available on tap are mostly Belgian and German rather than being from the new world. Regular prices are ¥1,100 to ¥1,200 for a small glass (250ml) and ¥1,250 to ¥1,350 a medium-sized glass (330ml). 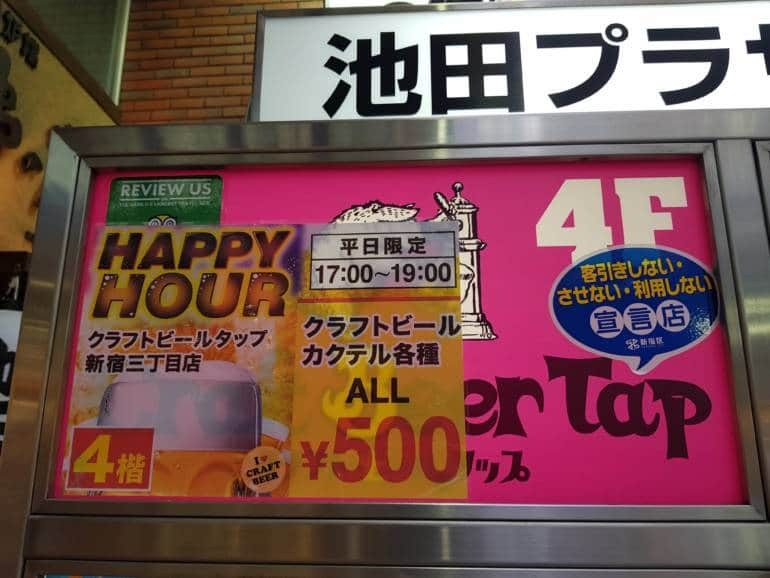 The only time to get a reasonably priced beer is during the 5pm to 7pm happy hour, during which you can get selected small size beers for ¥500. There is also a seating charge of ¥300. 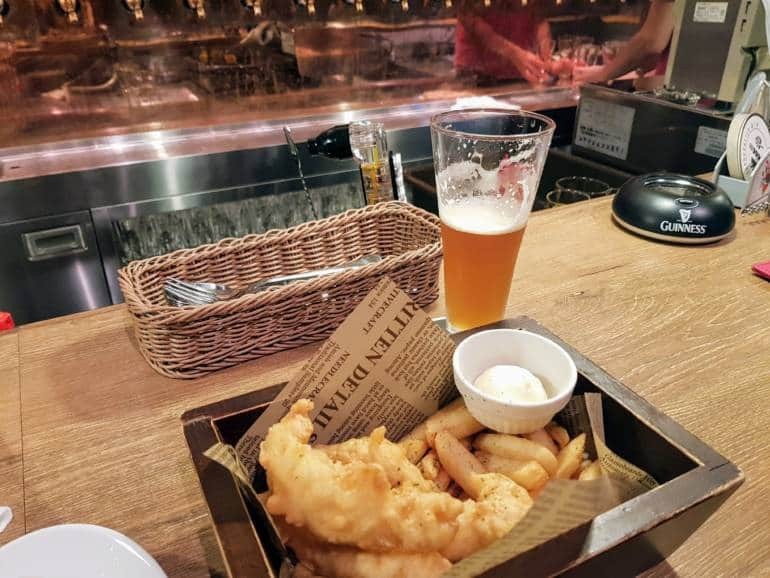 Despite the steep beer prices, they have a reasonably priced food menu (the M-sized fish and chips I had for ¥800 was more than filling. The staff are also quite friendly and helpful, letting me charge my phone from an power outlet at the bar. They also have a couple of big screens for watching sports.